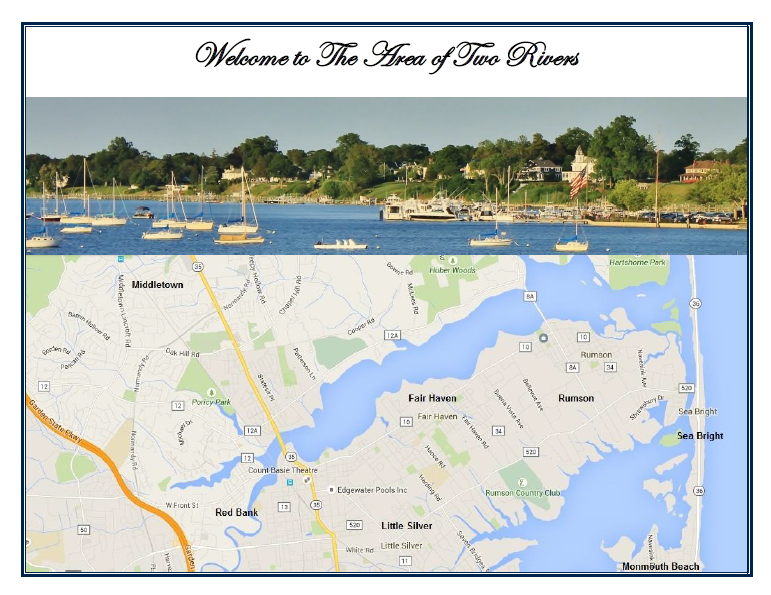 The “Two River” area is a unique portion of Monmouth County and is comprised of many charming towns including Rumson, Fair Haven, Little Silver, Middletown and Red Bank as well as Sea Bright, Monmouth Beach and many more. The area is flanked by the gorgeous Navesink and Shrewsbury Rivers and the Atlantic Ocean, making it a boat lover’s paradise. The Two River area has magnificent beaches, rivers, parks, farmland, as well as sprawling country clubs and golf courses. Are you looking to move to the beautiful “Area of Two Rivers”? I can help you find your dream home…Call me Today!